As part of their marketing scheme, G.H. 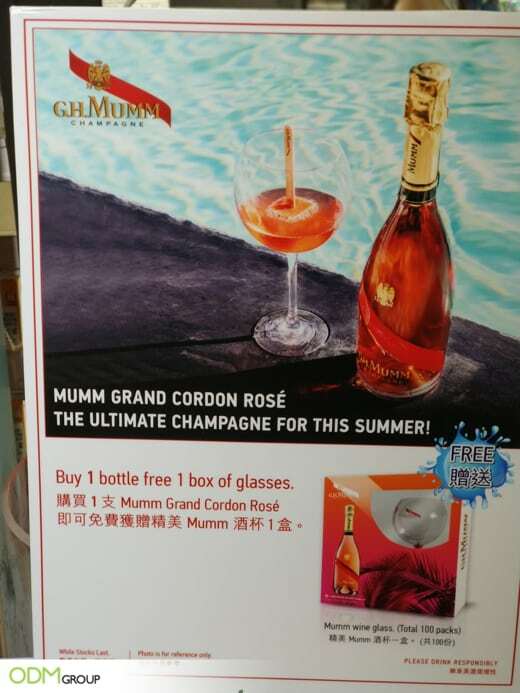 Mumm’s is offering a promotional branded glass as a marketing giveaway. 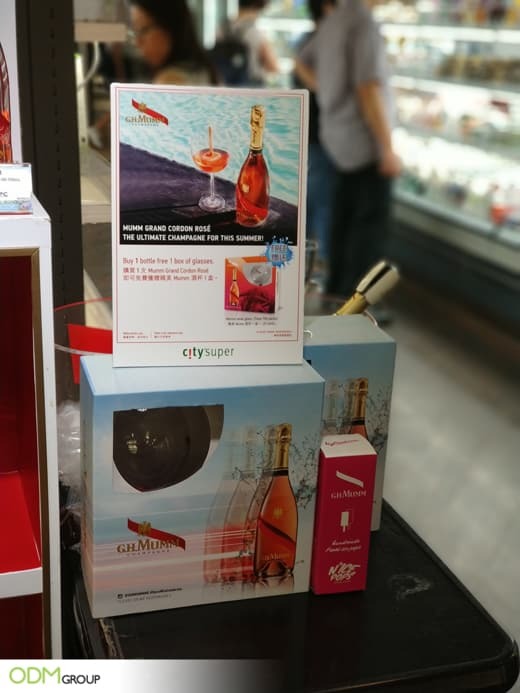 The branded glass is part of an in pack promo wherein customers will receive the promo gift every time they purchase the set. Dove’s on-pack promotion is a fine example. Customers get a nautical bag for every purchase of their shampoo products. In return, customers might express their gratitude by purchasing their products the next time they go shopping. Overall, the promotional gift from Dove created new ties with new customers. So if you need help creating your own custom wine glass, feel free to contact our team for assistance. The ODM team is more than happy to help you. These well made and unique glasses will impress your customers as they are made from quality materials. Having glass flutes bundled with your product adds elegance and class, which in turn, presents your label to the market as a high-quality beverage.